Diodes are one of the most important components in electronics and they’re semiconductors. 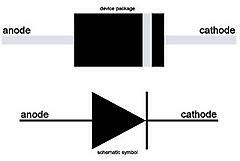 A diode is a two-terminal device: the Anode which is the negative side and the Cathode which is the positive side. Diode are made from two semiconductor material: Silicon diode which take (0.7 volts) to pass the current and Germanium diode which take (0.3 volts) to pass the current, the Silicon diode is better. 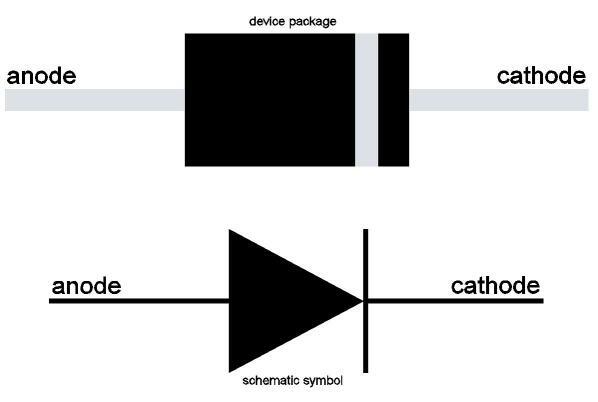 There are two ways to use the diode. The first way is in ‘Forward Biased’ where the current moves through the circuit if the voltage is more than 0.7V or 0.3V and we call it short circuit. The second one is ‘Reverse Biased’ where the current can not moves through it we had drop voltage and we call it open circuit.